Colorista washouts are temporary hair colours that gradually fade in 1-2 weeks. No ammonia. No mixing required. L'Oreal Paris Colorista 2 Week Washouts are a temporary hair colour that allows you to play with hair colour to complete your look and #DoItYourWay. Go all out or flirt with colour by customizing your look and transforming your style. Colorista Washouts gradually fades in 1-2 weeks of washes so you can wash it out and play again! 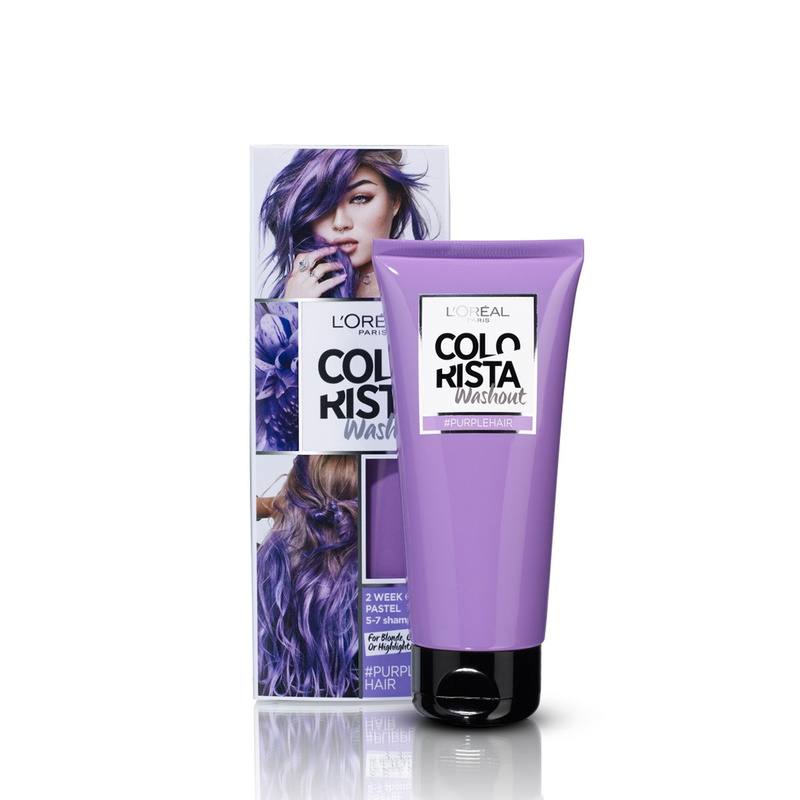 Step 1: Wearing gloves, apply Colorista Washouts like a conditioner to hair & saturate hair with colour. Step 2: Leave in for 15 min, up to 20 min for more vibrant, lasting results. Step 3: Use different shades on different strands to create a custom look. Step 4: Rinse thoroughly until water runs clear. Step 5: Dry and style as usual. Note: Colorista Washouts have the best colour payoff on pre-lightened/highlighted hair. Effects vary from individual to individual depending on different factors (E.g. colour history, hair condition etc). Colour will progress over time and may fade to a different shade as it washes out.